Interview with Gero Decker, CEO of Signavio - IRM Connects, by IRM UK | IT Blog. 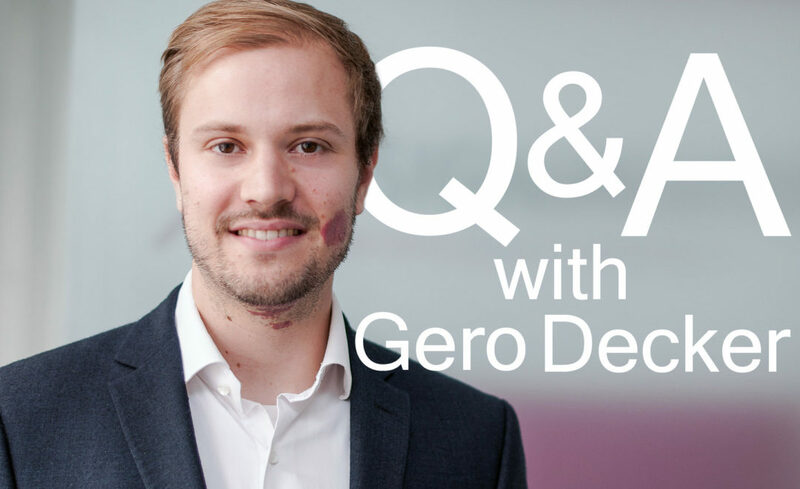 Gero Decker, co-founder & CEO of Signavio, tells us about his experience as entrepreneur founding a BPM start-up and shares a piece of advice he received early in his career. 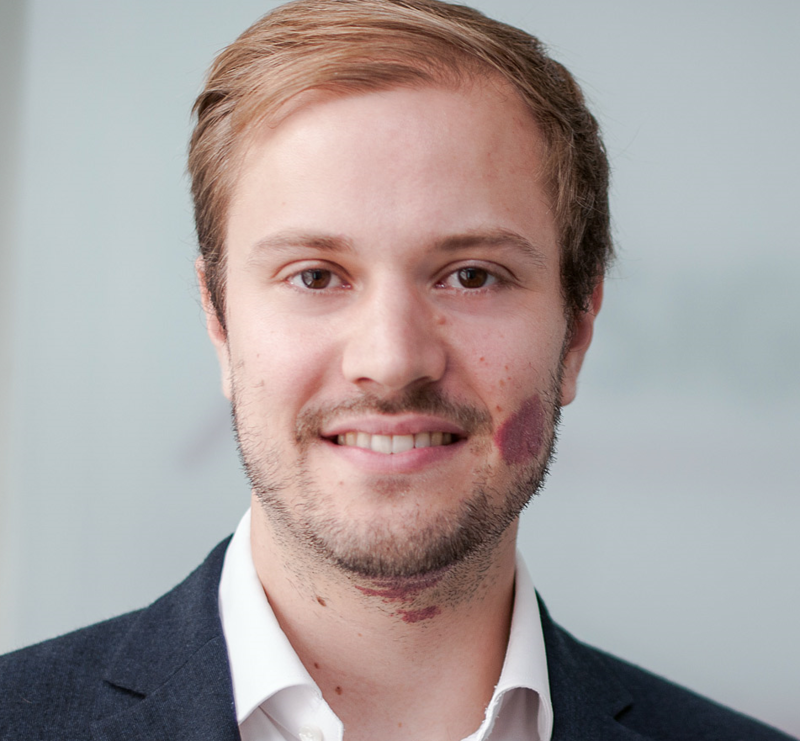 Hi, my name is Gero Decker, 34 years old, co-founder and CEO of Signavio. Before starting the company, I had a background both in process improvement consulting as well as in the academic world of Business Process Management (BPM). Initially, I started my career as a software engineer. Can you tell us a bit about Signavio and your team? Signavio is a software vendor headquartered in Berlin, Germany. With our team of over 150 people, we build software platforms for understanding, optimizing, and reinventing business processes. Our mission is to enable BPM for everyone, which means that we don’t want to only serve just a small elite of process experts, but ideally involve everyone in the organization. We believe that harnessing the collective knowledge of your entire organization is key to change and that only together as a team, you can transform your company. Signavio is an exciting place, a very dynamic and fast growing company with a lot of smart and passionate people. What kind of customers do Signavio have and where do they come from geographically? The great thing about BPM is, that it can be applied and leveraged in many different industry verticals and across company sizes. This is what we also see in our client base. We are currently serving over 1,000 customers around the world, mostly in Europe and North America. We also have an emerging presence in the Asia/Pacific region. Next to classic drivers for BPM such as efficiency and compliance, we see a lot of focus on digital transformation, employee productivity/satisfaction, and process re-invention. What development within Signavio are you most proud of and why? We had a very humble beginning 7 years ago. None of the four founders would have dared to dream of the scale we as a company have already reached today. But it still feels like we are just scratching the surface. Collaborative BPM, but also Business Decision Management and Process Mining have exciting potential for many years to come. What is next in terms of expansion? Increasing our geographical footprint is a major focus for the coming months. We have already opened our new U.S. headquarters in Boston and a small Australian office last summer. Earlier this year, we opened an office in Paris and we’re expanding to other European countries, including the UK, in the next few months. On the product side, we recently had an exciting product launch of Signavio Process Intelligence, which generated a lot of interest. With the new product and the availability of all of our products together as Signavio Business Transformation Suite, we can finally address the full BPM circle: design, automation, and analytics. At our recent BPM Conference delegates were asked about the most important issues in BPM in the next 2 years and the most popular areas identified were: Digital, Collaboration, Innovation, Business Change and the IoT. What are your thoughts on this? Sure, there are always trending topics, and we hear the ones you just mentioned a lot within our client base, too, most prominently digital. But the great thing about BPM is that it goes beyond any of these trending topics. BPM is fundamentally about facilitating change, no matter whether it is driven through technological advancements, market dynamics or an evolving workforce. And BPM is more needed than ever because the speed of change has accelerated significantly, and there is no indicator that this will change anytime soon. When I co-founded Signavio, my dad, who is also an entrepreneur, told me: Always make sure that you earn more than you spend. It sounds simple and obvious, but in today’s software industry, only a few people choose a path of profitable growth. The mandate of profitability teaches you to build a sustainable company and not a castle of dreams. What is the most important leadership lesson you have learned in business? I try to focus on two things: (1) Create an environment where all of your colleagues can and want to give their best everyday. (2) Make sure the whole is team is running toward the same goal. Have you any advice for would be start-ups? Follow your heart and just do it. It takes a lot of courage to start and a lot of sweat to continue. Have you any advice on running a fast growing business? Be prepared for a wild ride. The challenges you face and the role you fill will change every three months. So better make sure you have experienced advisors or sparring partners by your side to help you navigate and stay focused on the most relevant matters. Finally, do you have any tips for maintaining a healthy work/life balance? I do enjoy every minute I spend building Signavio. But as I have two young kids (ages one and three), I also have plenty of incentive to spend time with the family. As co-founder and CEO, Gero is responsible for Signavio’s overall strategic direction. He is a business process management expert and passionate about product innovation. Before creating Signavio, he worked for SAP and McKinsey. Gero holds a PhD in Business Process Management from Hasso-Plattner-Institute. See how Signavio can support your organization with a demonstration of the suite.